Rosalie Mulder is quite the unique dark ambient artist. At the age of 17 she has managed to release her debut album on the Minnesota based Dark Winter label. Dark Winter has released some memorable albums since founding back in 2002, with releases by well-known artists such as Alio Die and Steve Roach. In recent years their output has slowed considerably, but the quality has remained consistent. Rosalie Mulder started her journey with dark ambient several years ago, experimenting with music for the fun of it in her father’s studio. Chords of Chaos is the culmination of these experimentations. When speaking with her, it is quite obvious that she is still a young artist, with a whimsical approach to her output and just beginning to find her place in the music world. However, the sounds on Chords of Chaos are quite experimental and interesting, it seems that as her experience progresses in this field, we will almost certainly see some more amazing albums coming from her in the future. So without further ado, let’s hop into the conversation with Rosalie! The following track is “Chords of Chaos” from her debut album. Michael: First off, congratulations on your debut release! It is not everyday that someone is able to make their first full length release on a label at such a young age! Can you first tell us a little bit about the concept for Chords Of Chaos? Rosalie: The concept was kind of vague. I tried to give the right feeling to the music. The feeling I felt was like a dream or another world and it seemed a good concept for this album. Michael: Each track on Chords Of Chaos is ten minutes in length. What was the reasoning for doing it this way? Rosalie: Oh you noticed… I heard around 10 min would be a good length for a dark ambient song. I am weird. Michael: Ah, so you decided on this from the very beginning? Rosalie: Yes, when I was finishing the first track, “Yoru”. Michael: I see that you have used a variety of live instruments on this album including: lap harp, guitar, flute, drums and your own voice. Can you tell us a bit about how you learned to play such a wide range of instruments? Rosalie: Oh I didn’t say I play them well, just making random cool sounds I guess. Like, I even played some weird flute, really out of tune, but it still worked out. We have a lot of instruments at home to use. Michael: When did you first start taking interest in music? 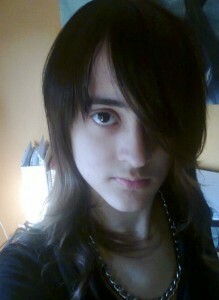 Rosalie: Around age 12 I guess. Michael: How long have you been listening to dark ambient music? Rosalie: Well, I don’t remember. My dad played it a lot when I was a kid. Michael: Did your father teach you many of the techniques you used to make this album, or are these ideas that came to you on your own, after hearing his and other music? Rosalie: Well he kind of taught me how to use the software, when he played dark ambient and other stuff so I learned what it was. Then, some years after that, I experimented with sounds and it ended up becoming this. Michael: How long have you known that you wanted to make an album like this? Rosalie: I don’t know, I just started making songs, selected a few and made it into an album. Michael: How long did the whole process take once you started writing and recording? Rosalie: No idea. I took my time. It took a few years, with breaks. Michael: What was your favorite instrument to use on Chords Of Chaos? Rosalie: Oh, the little harp was fun. I have no idea how you are actually supposed to play it, but it made nice sounds. Michael: What is your favorite piece of equipment in your studio space? Rosalie: I use a laptop to produce and record the music. There is a studio but I like to make music around different places. Michael: What were some of the places or emotions that you drew on to make this album? Rosalie: I don’t know, I tried to produce some kind of feeling in the songs. 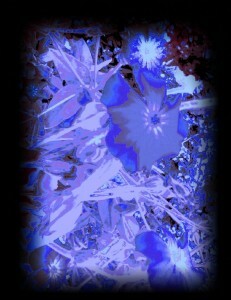 To show my idea of an interesting atmosphere, like dreaming music in a way. Michael: Do you listen to dark ambient other than your own and your father’s music? If so, who are some of your favorite or most influential artists? Rosalie: Hmmm, I listen to a lot of uh stuff… I haven’t really heard my father’s music in years, hehehe. I remember it being good though. I have listened to Abelcain in the past, though more the breakcore-ish stuff. I dont really listen to others in the style much. Michael: Did you create the art for Chords Of Chaos, if so what was your motivation behind it? Rosalie: Oh yes I made it. 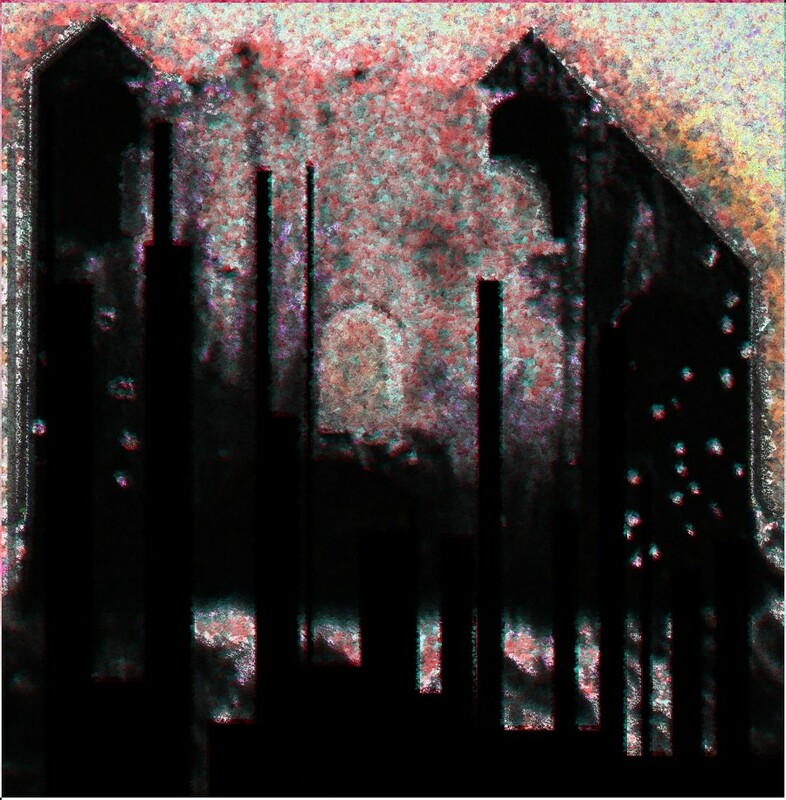 Well, the motivation was just trying to make images that fit the feeling of the album and my style. Michael: Do you create music in different genres? Or, are you only creating dark ambient style music now? Rosalie: I’ve tried some other stuff too, like programing a metalish song and trying to learn to play it on my actual guitar too. Now I don’t even know what to call most of it. I’ve been experimenting a lot. Michael: Do you have plans for writing another dark ambient album? 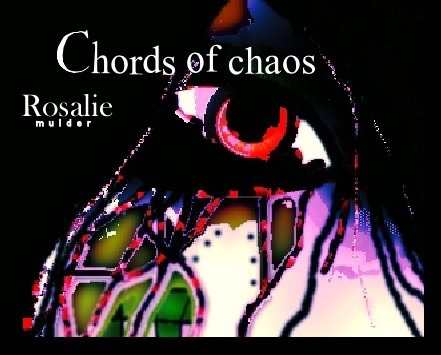 Rosalie: Now that Chords of Chaos is finished, I’ve started working on a second album. Chords of Chaos is available from Dark Winter as a free download here.